In this short video he describes his cattle, his process, and what his winter strip-grazing mode looks like. 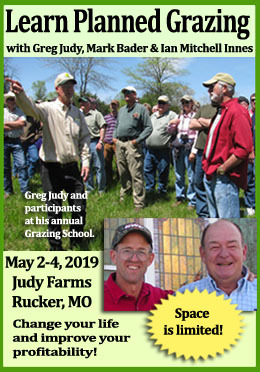 And if you know Greg, you’ll know that he emphasizes grazing over feeding, saying “Every day you graze, you’re putting money in your pocket, and every day you feed you’re taking it out.” Enjoy this visit to the Judy Farms! Greg and Jan Judy of Clark, Missouri run a grazing operation on 1400 acres of leased land that includes 11 farms. 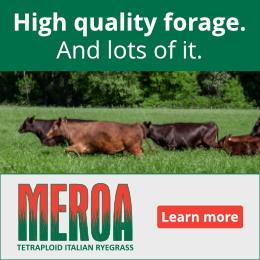 Their successful custom grazing business is founded on holistic, high-density, planned grazing. They run cows, cow/calf pairs, bred heifers, stockers, a hair sheep flock, a goat herd, and Tamworth pigs. 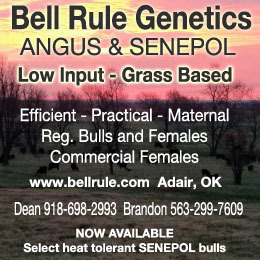 They also direct market grass-fed beef, lamb and pork. Greg's popularity as a speaker and author comes from his willingness to describe how anyone can use his grazing techniques to create lush forage, a sustainable environment and a successful business.